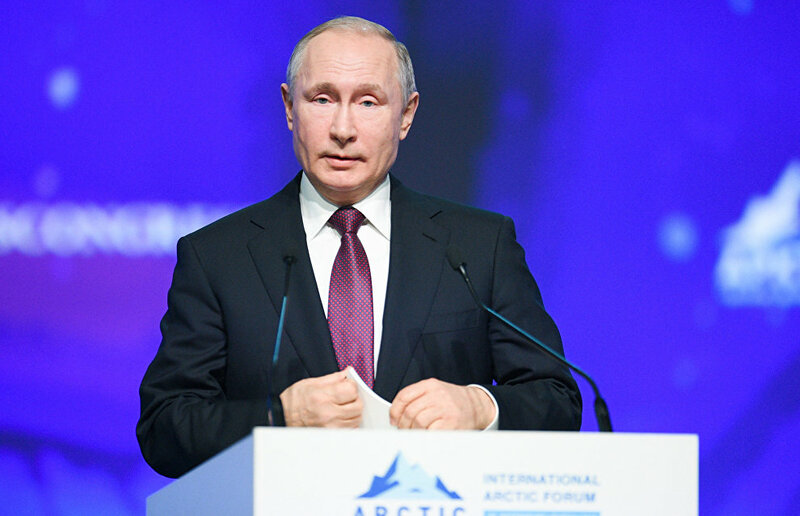 The burden shouldered by companies operating in the Arctic should to a large extent be taken on by the state, Russian President Vladimir Putin said at the plenary session of The Arctic: Territory of Dialogue 5th International Arctic Forum. "I have already said that we are planning to create, are creating and will keep creating an environment that is beneficial for the companies working in the harsh Arctic conditions. This is not just about underdeveloped infrastructure, but about the need to invest in technology that would 100 percent ensure the conservation of nature. It is so fragile in the Arctic region," the President said. "When organizing work like this, we have to think about the interests of the indigenous peoples of the North. Their interests are an additional burden on the companies, and the state must take on that burden to a large extent as well," Putin said.